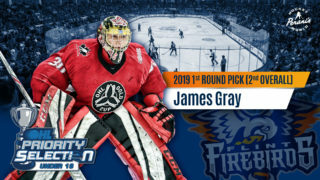 Flint, Mich. – The Flint Firebirds today announced the club has completed a trade with the London Knights. The Firebirds have traded the rights to Jack Roslovic to London for Sarnia’s 7th round pick in the 2017 OHL Priority Selection. 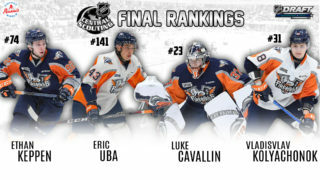 If Roslovic plays for London in the 2016-17 season, the Firebirds will receive Mississauga’s 2nd round pick in the 2017 OHL Priority Selection. 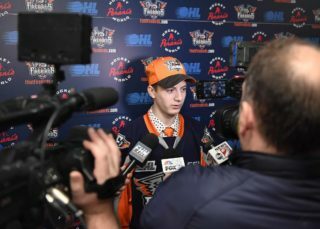 Additionally, if Roslovic plays for London in the 2017-18 season, the Firebirds will receive Kingston’s second round pick in the 2018 OHL Priority Selection. Roslovic was drafted by the Plymouth Whalers/Flint Firebirds in the 9th round, 176th overall of the 2013 OHL Priority Selection and currently plays NCAA Hockey for the Miami (Ohio) Redhawks.